Keep a medication journal, especially when you are starting new medications or if you have symptoms that are out of the norm for you. Write down what is happening to you. See if you can identify the relationship of your symptoms to any medications or other activity that causes an increase in symptoms. 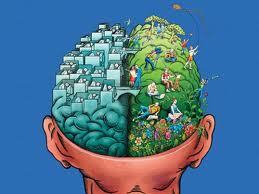 This will help you identify and solve problems. You only have a few minutes to address all these issues with your physician so you need to be your own detective and take care of yourself. New to Swallowing Pills? Here are some tips with difficulty swallowing. For larger pills mix with applesauce, oatmeal or something if you have difficulty swallowing. Most pills can either be cut or crushed. DO NOT cut or crush CAPSULES! They need to be swallowed whole. 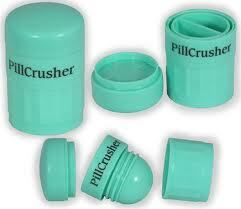 You can pick up pill crusher or splitter at your local pharmacy. 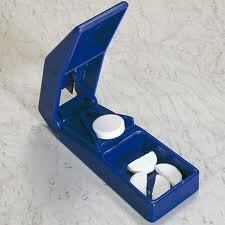 If you are taking liquid meds there are small plastic containers to measure accurately or use a liquid dropper. These give you the most precise measurement. To practice swallowing drink water or juice if that helps. Hold your tongue under the glass/cup and swallow. Think of something other than swallowing the pill. Eventually you will learn to swallow. This is very difficult when you have never taken medications. Medications taste horrible. You might begin to gag. Pull it out of your mouth. Relax a little, take a few deep breaths and try again in a few minutes. Give yourself time. Don’t make yourself sick over taking pills. It gets easier with time. NEVER SHARE MEDICATIONS They are YOUR medications. The dosage may be different. The shape might appear the same. The name may be similar, but all very different medications. What helps you, may be poisonous to another person! Automatic order your prescribed medications so you never run out. Most medications can be called in if the physicians office handles it that way. Other offices will not call in prescriptions. Either way is right, it depends on how the physician’s run their business. If you have medications that need to be ordered by prescription only mark your calendar and call the doctors office in plenty of time. Within 15-30 days. DO NOT run out of medications before calling the office. It may take days to weeks to process your request. Use child-proof caps/lids if you can open them. If you have difficulty opening, ask the pharmacist to give easy open caps. Many medication lids or caps just flip over and they change from child-proof to regular twist on caps. Try it out and see if they are those caps on your pill bottles. ONLY YOU KNOW HOW YOU FEEL. Don’t let anyone else tell you otherwise. If you feel intimated, you might need to change your healthcare professionals. OTC – Good place to shop at discounted prices for over-the-counter medications. Costco, Sam’s Club, BJs and other warehouse clubs. They have high quality for significantly lower prices. Pharmacy also fills Pet prescriptions. If you don’t have a membership you can visit for with a day-pass without a membership. Just stop at the customer service desk and tell them you would like a day-pass. This includes an array of eye drops, herbal remedies, among isles of different things you might be interested in. Try it out and compare prices. When there is a recall they send you a notice: such as Excedrin, Tylenol, Benedryl, recalls. You can claim over-the-counter medications on your taxes so keep all your receipts. Herbs are also considered medications for the purposes of writing down what you are taking, even though most are natural remedies. They interact with prescription medications. Adverse Side Effects are frequently listed with your brochure of medication. Serious adverse side effects are rare, but do happen. Some may happen briefly for a couple days. When in doubt call your pharmacist, physician, or nurse. Usually it takes a couple days for your body to adjust to new medications…sometimes longer depending on the type of medications. Our bodies are all chemicals, so you are adding more chemicals and this can alter everything. Be aware of this. Do you feel better not taking this medication? How does this medication make you feel? Keep a journal so you can figure out if this works for you. There are many medications and medical conditions that improve your functioning, but make sure you have done everything else possible to help yourself. Good nutrition, exercise, and routine! Print out your medication list with pharmacy, physicians and vital information in case of emergency. Also see post on flash drive bracelets. *****When visiting your physician or healthcare professionals take a list of all your complaints. Hand the healthcare professional a copy of your symptoms and everything you want to address. LEAVE A PAPER TRAIL. Most healthcare professionals take few notes. They usually only write down one or two problems. These are the only problems they are responsible for. Everything else will NOT be addressed and they are NOT responsible unless it is in the chart. Even at that they are not responsible, you are! Make sure a copy of your issues become a part of your chart. It’s not to say that if something happens to you…that piece of paper may become missing, but you will have a copy or your family will. Hence, it’s always important to visit a healthcare professional with your advocate or another person you trust. You also need another set of ears and someone to take notes while you listen to your healthcare professional. YOUR LIFE IS IMPORTANT! You are usually only important for the 10 minutes or less that your appointment lasts and impressions are made within the first few seconds of your appointment. Get a copy of all your medical records. They are yours. You may need them someday. Get copies of all your films: MRI, CAT scans, X-rays, Laboratory Results, etc. Medical records of all sorts are usually purged (disposed of) at 10 years. If you ever need a baseline film or comparison of lab work, you will not have it later. Start and keep your own files in your possession. You will need all the reports for these films as well. Ask for a copy of your entire chart when hospitalized, your doctor’s office, everywhere you go for your healthcare. You need this control. You need your records. You need to keep yourself alive and well. This is your responsibility. Great stuff!! You should post this series on health and chronic pain sites everywhere! This could benefit people in all areas. I just got the “But You Don’t Look Sick” Newsletter. They might be interested in publishing this. I suggest you try them. Great stuff!! (Just google the name…sorry don’t remember the address). I don’t know how to go about posting on other sites or taking this a step further. It’s following-thru with stuff that is difficult to do. I don’t even know how to do a copyright notice on my home page. Just can’t figure it out…but I’m getting the message out anyway. If you have the energy at some point maybe you can help me out here, but I will make repeated attempts to figure it out first. I appreciate all your feedback. REMEMBERING TO TAKE MEDS: I had many problems remembering my meds and meds for my parents and found this web site http://www.epill.com/ to have have many helpful reminder devices. Since having a smart phone I set my daily med alarms and have someone double check 4 me and also load my meds 4 me to avoid the many mistakes that can be made. Thanks for the website information. I will check it out and add it to the post. I also have found the reminder alerts from my cell phone to be ever so helpful. Unfortunately, with my change in routine and location of my medications I’m forgetting them frequently for the first time in years. I just placed them in plan site next to the sink until I get use to my new surroundings and routine. My body notices the difference, like everyone else dealing with these issues and that is when I remember that I forgot my medications, but sometimes too late since I need to give injections twice a day. Usually taking medications when you remember is still a good thing, but when it’s too close to the next dose you do not want to do that. Especially if it’s an anticonvulsant and many other medications because when you have brain injuries of any sorts your brain is very sensitive to medications. I added the site for pill reminders on 4 of 4 for medications just above abbreviations at the bottom of the post. Thanks again! My biggest problems with my medications is the inactive ingredients. I don’t know if I mentioned this before…but those of us with food allergies…gluten, fructose, lactose…ect….really get slammed with the inactive ingredients. I have found it to be very helpful, (and it’s not finished yet) but I use the advanced search…search out my medication…very important if you use the generic to know where it is manufactured….then I can normally find the medication…even has a photo…and find out EVERY Thing that’s in it. Just another site you might want to check out. But as I said, it’s in the Beta Version. I’ve found it very helpful though. Thank you for this series!! Oh….for those with Smart Phones…there are apps to help remind one of medications. I only have one I have to take during the day…and I admit I forget it and it’s late often…but I can’t hear my phone or an alarm so it’s hard for me on that count. But I’m trying. I try to keep my phone with me so it vibrates on me. You point out so many flaws in the system. Allergies are so important, and if the pharmacist doesn’t find it because of inactive ingredients who suffers but the patient. I only wish everyone would realize how vital it is to life and death situations. There would be fewer deaths and permanent disabilities if individuals realized how much control they need to take with their health and life. Thanks for sharing all this information and I’ll review the websites as well. You’ve made some excellent points here.